When you’re talking about a major home renovation, the increased property value can be considered in the loan terms. Wide-scale upgrades to the housing stock also benefits the local economy and community. As such, in addition to the home loan products offered by conventional/private lenders, there are a number of supplemental loan programs designed to help homebuyers, especially those implement this strategy. Fannie Mae manages one of the most popular programs, the HomeStyle Loan. Another program you might look into is the Department of Housing and Urban Development 203(k) mortgage insurance to help qualify for this type of home mortgage. Who Wants to Remodel when Buying a Home? Dollar-for-dollar, home remodels rarely “pay for themselves” in increased equity, so what’s the theory in buying a fixer-upper and then going through with the renovations before ever moving into the home. Why not just buy a home with nicer comparables to begin with? The simple answer is that this is often done out of necessity rather than choice. Especially in these days of low inventory in home listings, the buy-and-remodel strategy may be the only viable path for buyers looking for their dream home in particular neighborhoods. In more and more housing markets around the country, people are creating their dream home by buying and renovating a fixer-upper on the spot out of necessity. The Franklin housing market has been and remains a tight, low-inventory market. But it’s not just Franklin and other Boston suburbs. Along with the preponderance of all-out scrape-and-builds, the remodeling fad and elevated home prices have real estate experts tracking roll-off dumpster rentals as a barometer for the future of the local housing markets. The upshot is that, in many of these markets, popular remodeling projects will consistently outperform the national average for home remodeling cost vs. value. Unfortunately, there are also new limitations to how far your home remodeling budget can go. Skilled labor shortages in the construction and home improvement industries are increasing the cost to remodel and, when buying the property at the same time, move-in delays. It’s hard to get on a contractor’s schedule to begin with, and then the project rarely seems to stay on schedule. Here’s another limitation that may apply to standard home equity loans: Instead of borrowing against 90-100% of your home equity, many lenders now have home equity loan limits of 80-90% of the total equity. 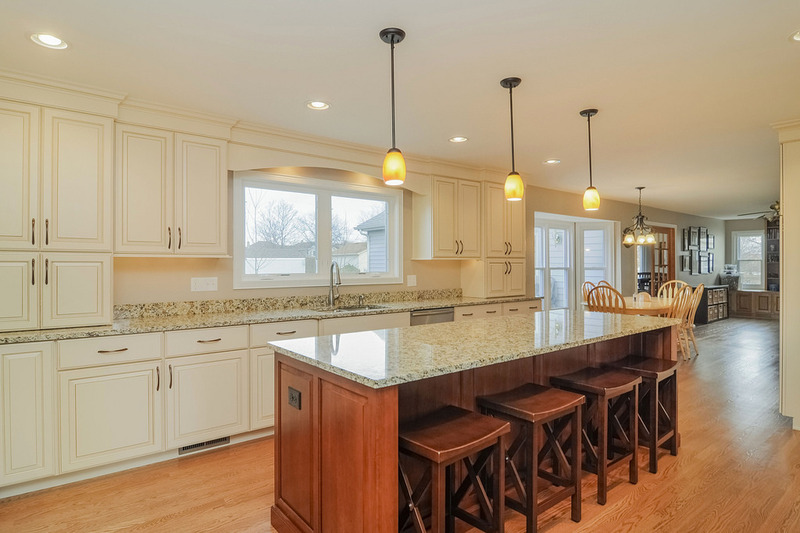 Especially in hot housing markets that have seen rapidly rising home values over the last few years, the dynamic rules for home mortgages and home equity lines of credit create another reason to think about making sure you can finance your desired remodel in the original home loan.